Trishuli (The High water River) is the most popular and enchanting rafting river in Nepal which is easy to access from Kathmandu and Pokhara. 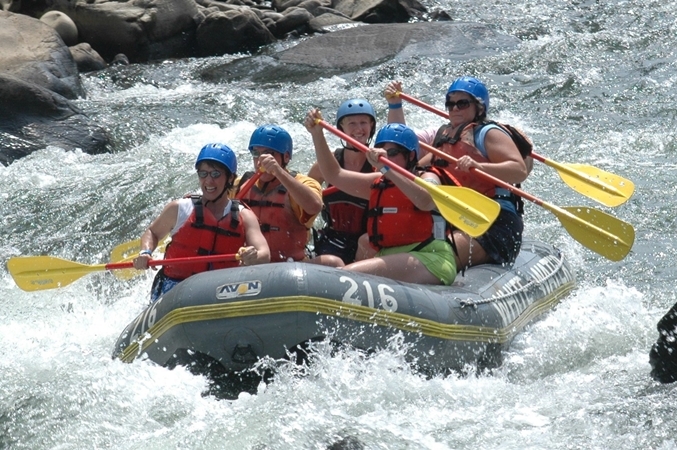 During the monsoon, rafting in this river is one of the most exciting activities you can do in Nepal. This rafting trip offers you scenic villages, attractive gorges, exhilarating rapids and easier sections of river for swimming and relaxing. During monsoon, this river swells to its peak and offers brilliant white water action just a stone throw away from Kathmandu. This will quench the white water desire of travelers with limited time in Nepal. The Trishuli meanders its way through scenic gorges and impressive valley on its way to the plains. Kathmandu to Charudi by Bus .